This property is 2 minutes walk from the beach. 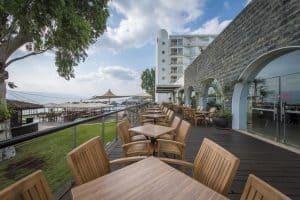 Rimonim Galei Kinnereth Hotel is set directly on the shore of the Sea of Galilee, with a wonderful view of the Golan Heights. It also offers extensive spa facilities.The spa covers more than 600 m² and includes 13 varied treatment rooms, a pool, Hammam and gym. Guests have discounts on all spa treatments. The Hotel Rimonim Galei Kinnereth has created a lovely waterfront landscaped gardens with a terrace, hammocks and swings to relax on. 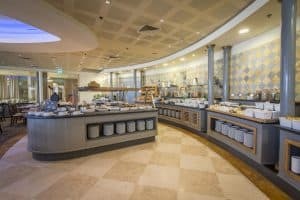 Guests have a restaurant and bar, plus a children’s playground. Staff can provide useful tourist and travel information.